Featuring more than 20 hit Queen songs, We Will Rock You follows two revolutionaries as they try to save Rock in a post apocalyptic world. Featuring the songs “Another One Bites the Dust”, “Bohemian Rhapsody”, “Killer Queen”, “We Will Rock You”, “Somebody To Love”, “We Are the Champions”, “Don’t Stop Me Now,” and many more. After a victorious 12-year reign and having rocked over 7 million people in a record-breaking run, We Will Rock Youplayed it’s final West End performance on May 31, 2014 and achieved the distinction of becoming the longest-running show ever at London’s Dominion Theatre. 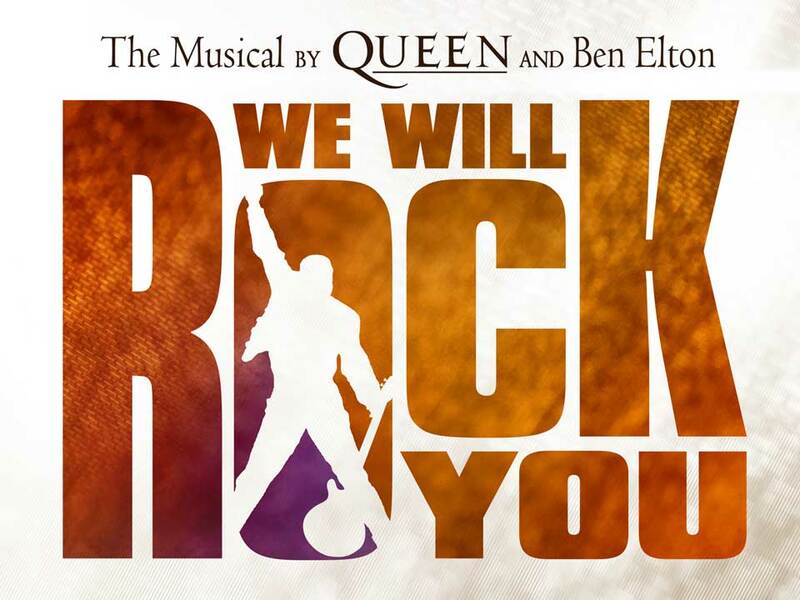 We Will Rock You has been performed in 28 countries around the globe and seen by more than 16 million people.